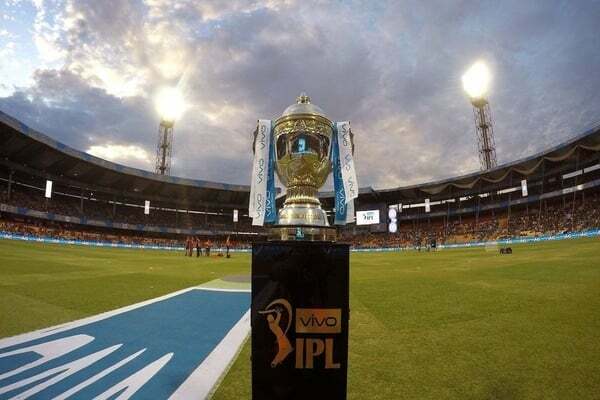 IPL 2019: Putting to rest speculation that the 12th edition of the Indian Premier League (IPL) will have to be moved out of the country either partly or fully due to the impending national elections, it has been confirmed that the tournament will be played entirely in India. A release issued by the Supreme Court-appointed Committee of Administrators (CoA) confirmed that the tournament will start on March 23 but no other details including the schedule of matches or venues were forthcoming. It is expected that those decisions will be taken only once the dates of the general elections are announced. “Based on the preliminary discussions with the appropriate central and state agencies/authorities, it was decided that the 12th edition of the world’s most popular and competitive T20 tournament will be scheduled to be played in India. It is proposed that the VIVO IPL 2019 will commence on March 23, 2019. The detailed schedule will be finalised in consultation with the appropriate authorities,” a statement from the CoA said. The venue of IPL-12 is a matter of major debate since the dates were set to clash with the general elections of the country, which in all likelihood will be held in April and May. It is understood that BCCI acting secretary Amitabh Choudhary had met home secretary Rajiv Gauba on the December 19, 2018 — a day after the IPL-12 auction in Jaipur — and put forth the board’s plans to organizing the event. “The board official, as well as the home secretary, agreed on the fact that the tournament needs to stay in India. We put forth our proposal and Mr Gauba completely agreed with it,” a senior BCCI official told CricketNext. “The CoA will have detailed discussion with all the Stakeholders before releasing the IPL 2019 schedule,” the BCCI release added. The IPL franchises were informed of the decision. “We have just been informed that the IPL will be played in India and that it’s start date, just like the information in the press release. Rest of the details we were told that we’ll be informed soon,” JSW Sports CEO Mustafa Ghouse said. The IPL has been moved overseas twice earlier as it clashed with general elections in India. In 2009, the second edition of the tournament was played entirely in South Africa, while in 2014, the early rounds were played in the UAE before the tournament moved back to India.